Healthy Dancer Canada and Human Kinetics are partners with a mutual vision and goal to provide dance and health professionals with access to valuable resources. As Human Kinetics associates, HDC is able to offer our members exceptional rebates on books and posters from HK through the Newsletter Book Club. Click here to become a member of HDC. Follow the links below to view and order these books we recommend to dancers, dance educators and health professionals. Safe Dance Practice bridges the gap between research and application for dancers and dance educators at all levels. The book presents integrated guidelines and principles that will maximize physical and mental well-being without compromising creativity and expression. Dance Anatomy and Kinesiology, 2nd ed. Motor Learning and Control for Dance is the first textbook to blend dance science, somatic practices, and pedagogy and address motor learning theory from a dance perspective. It focuses on motor development, motor control, and motor learning while showcasing principles and practices for students and teachers. Dance Psychology for Artistic and Performance Excellence helps dancers develop psychological strength to maximize their performance. The book covers the key mental aspects of dance performance and offers practical exercises that will make dancers’ minds their most powerful tools. Preventing Dance Injuries, 2nd ed. 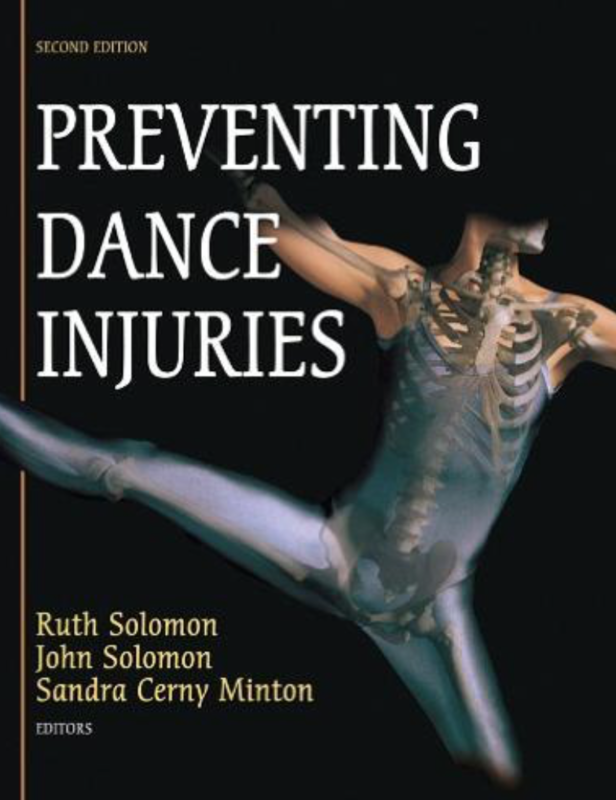 Preventing Dance Injuries, Second Edition, contains comprehensive coverage of dance injuries, including screening, prevention, diagnosis, treatment, and rehabilitation. Conditioning with Imagery for Dancers is an invaluable resource for dancers and dance educators. The book includes detailed descriptions of the purpose, form, and rhythm of more than eighty exercises, fully illustrated with step-by-step photographs. Published by Thompson Educational Publishing, Inc.
Dance Anatomy is a visually stunning presentation of more than 100 of the most effective dance, movement, and performance exercises, each designed to promote correct alignment, improved placement, proper breathing, and prevention of common injuries. The exercises are drawn in stunning detail, capturing the dancer in motion and highlighting the active muscles associated with each movement so you can develop and strengthen different areas of the body. You will clearly see how muscular development translates into greater poise and elegance on the stage. The Warm-Up is the first book to describe the science of the warm-up and provide guidelines to maximize its effectiveness through the process of constructing effective RAMP-based warm-ups. The RAMP system--Raise, Activate, Mobilize, and Potentiate—looks at the warm-up not only as preparation for the upcoming session, but also as tool for athletic development that can cultivate the skills and movement capacities needed to excel in sport. RAMP has become a standard warm-up system recommended by the United Kingdom Strength and Conditioning Association (UKSCA) and is included in professional resources developed by the National Strength and Conditioning Association (NSCA).